How Do I Stop Making My Armpits Smell So Bad? Why Does My Daughter Get Gas After Eating Dinner? 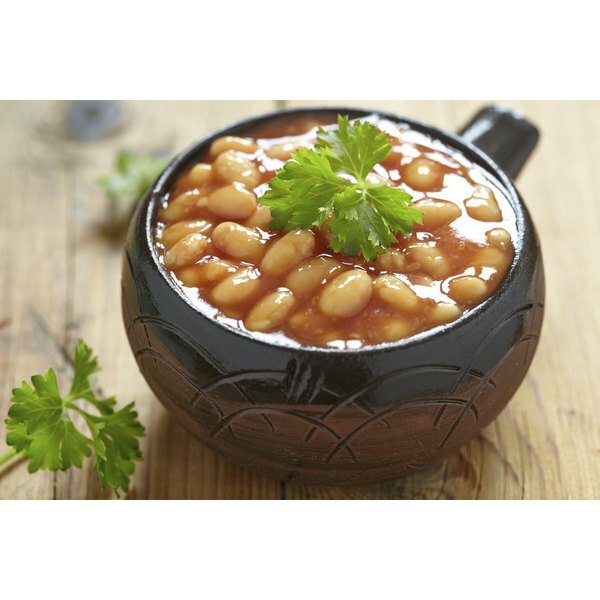 A bowl of baked beans on a wooden table. 2 How Do I Stop Making My Armpits Smell So Bad? 3 Why Does My Daughter Get Gas After Eating Dinner? Nothing is quite as embarrassing as an audible and odoriferous fart released in the middle of a business meeting. Although mortifying, flatus is a totally normal part of human digestion. Changing your diet may reduce the frequency of flatus, but don't eliminate healthy foods just to maintain your dignity. Protein-dense foods -- including beans and dairy products -- are common sources of flatulence, but the carbohydrates they contain are actually to blame. Harvard Medical School explains that three sugars found in beans -- raffinose, stachyose and verbascose -- are consumed by bacteria in the colon which release gas as a by-product. Lactose, the sugar found in milk, triggers a similar cascade of gas-inducing events. Flatus is composed of a mix of gases including carbon dioxide, oxygen, nitrogen and hydrogen. Truly deadly-smelling flatus contain a gas called sulfur. Eating protein-rich foods including eggs and meat can increase the sulfur in your system, according to Harvard Medical School. Over-the-counter medication may help to reduce flatus. You can also try gentle exercise in an open area to push gas through your system without embarrassment.